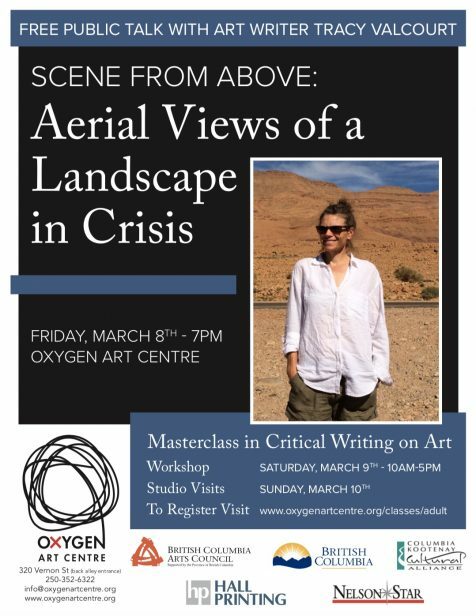 Oxygen Art Centre invites you to join us in our second in a series of weekend-long Masterclasses in Critical Writing on Art led by art writer and scholar Tracy Valcourt. This is a unique opportunity for practicing artists, curators, and arts writers to hone their critical writing skills, whether writing about your own work or the work of other artists. One-on-one studio visits with Valcourt are also available for an additional fee. 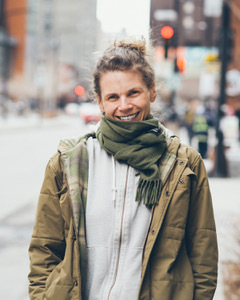 Tracy Valcourt lives and works in Montreal, where she is currently a Doctoral candidate and lecturer in art and writing at Concordia University. Valcourt also has a long-time connection to the Kootenays, where she studied writing and sculpture at Kootenay School of Art. Valcourt has written reviews and feature articles for Border Crossings Magazine since 2005 and is working on a chapter for a book, Artistic Approaches to Cultural Mapping, with Dr. Sebastian Caquard. As part of her visit to Nelson, Valcourt will give a talk on her Doctoral work which investigates perceptions of landscape from an aerial perspective, titled “Scene from Above: Aerial Views of Landscapes in Crisis”. This is the second in a series of professional development Masterclass workshops organized by Oxygen Art Centre. The first was with curator and art writer Melanie O’Brian in October 2018. Participants found great value in having a cultural thinker and critical writer from outside the Kootenay/Boundary region address the group. This series is sponsored by the Columbia Kootenay Cultural Alliance. The Lecture is free of cost and the course cost is $100.00 with an additional $50.00 for a studio visit. To register for the course: https://oxygenartcentre.org/classes/adult/, Or email: education@oxygenartcentre.org .